In a justice system that presumes you are innocent until proven guilty, more than half of inmates in local jails have not yet been convicted of a crime. We hear more from one Roanoke activist working to raise money for a mother who can’t afford bail before trial. 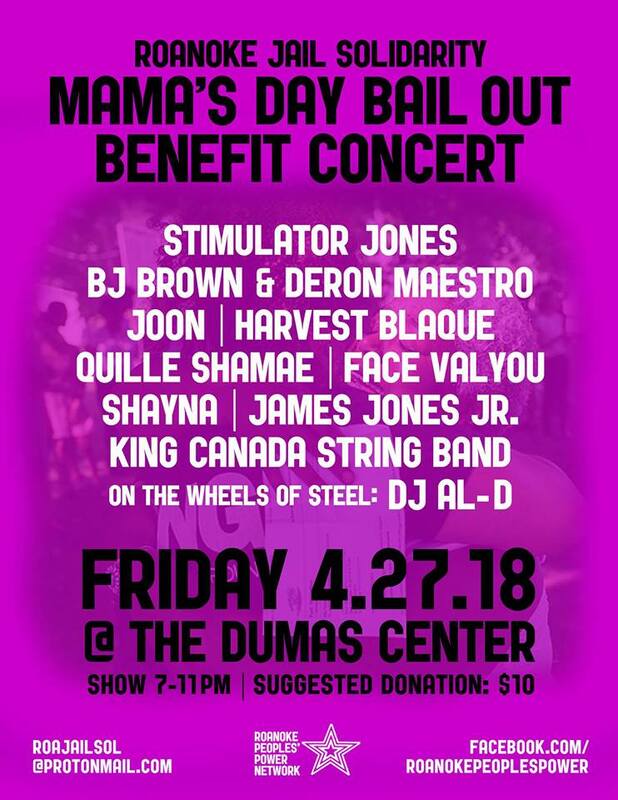 Ahead of Mother’s Day next month, the organization Roanoke Jail Solidarity is fundraising to help bail out a mother in time to see her children. According to the Vera Institute, between 60 and 70 percent of inmates at local jails are being held pre-trial, the majority of them for minor offenses. Pastor Natasha Harper is one of the organizers. WFIR previously spoke with Harper in September when the group “No More Jail Deaths” demonstrated in front of Roanoke City Jails to protest the amount of suicides and deaths occurring in the facility. Harper’s stepson Clifton Harper ended his life while behind bars and she’s since made it her mission to help reform the criminal justice system. “No More Jail Deaths” now goes by Roanoke Jail Solidarity and partners with other grassroots organizations to advocate for inmates’ rights. Listen to the audio below for the full interview with Harper.